The Midface-CheekLift can correct the unwelcome, age-related midface changes that begin to appear as early as our late thirties. Dr. Yeh’s Midface-CheekLift is a safe, advanced procedure designed to lift sagging cheeks and restore them to their natural – more youthful position. Midface aging is easily identified as eyes that appear hollow and cheeks that look sunken while marionette lines deepen and nasolabial folds become dramatically more noticeable. An angry look often develops as the muscle between the eyes changes, the cheek’s fat pads start to descend down the face – and smile lines become permanently etched on the face. A Midface CheekLift is an advanced surgical procedure that Dr. Yeh uses to tighten and lift muscles in the midface area as well as to restore the cheek fat pads to their more youthful position. This eliminates unwelcome lines, folds, hollows and sagging that occurs naturally with aging. Several types of facelift surgeries are available today and Dr. Yeh performs all these variations, but completely tailors each one to your individual needs. He is an expert at determining which procedure is suitable for each individual – since every face if different. If you look into the mirror and don’t like what you see in your mid-face area – and you want to correct those problems – you could be an ideal candidate. Dr. Yeh will be able to determine this during your consultation with him. He will do a complete assessment of your concerns – and will examine the condition of your skin, your underlying facial anatomy, your goals and how much facial aging is evident. He will tailor your treatment to achieve your goals and the most desirable results. Local anesthesia with sedation is normally used. 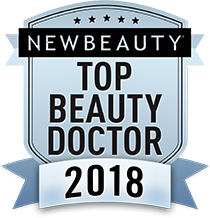 Dr. Yeh will make small incisions in the hairline and temple and work through these using small microscopic instruments to tighten and lift muscles and reposition the cheek fat pads. The incisions are closed and heal quite inconspicuously. Fat transfer, Injectable Dermal Fillers and/or Cheek Implants are often used to help restore volume and contour to the hollow midface as well.